The Albany Lunch Club will meet on February 23 at noon at the City Line Bar & Grill located at 1200 Western Avenue in Albany. Please be on the lookout for an email from us to RSVP if you’d like to attend. If you do not receive an email, please reach out to Katie Dooley at Kathleen.Dooley@nyserda.ny.gov. We hope to see you there! 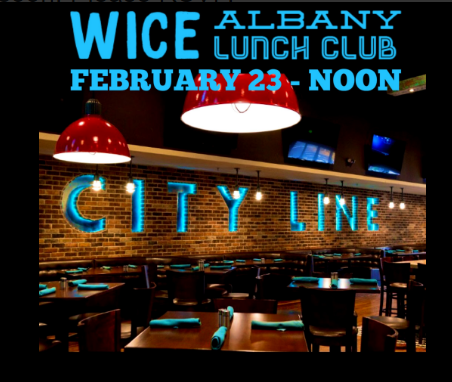 Please note that the Albany Lunch Club is now meeting the fourth Thursday of every month.